But fortunately, between me and the wild green ocean was the glass of the Wall. O, mighty, divinely delimited wisdom of walls, boundaries! It is perhaps the most magnificent of all inventions. Man ceased to be a wild animal only when he built that first wall. Man ceased to be a wild man only when we built the Green Wall, only when, by means of that Wall, we isolated our perfect machine world from the irrational, ugly world of trees, birds, and animals…. I waved my hand, the yellow eyes blinked, backed off, vanished in the foliage. Pathetic creature! How ridiculous—him happier than us! Happier than me—that could be, all right. But then I’m simply an exception, I’m sick. From Yevgeny Zamyatin’s 1921 novel We. English translation by Clarence Brown. I’ve heard Orwell ‘stole’ the narrative of We for 1984. Notice any truth to this? As far as I know, yes—Orwell started writing 1984 after he read We, and the plot similarities are indisputable. 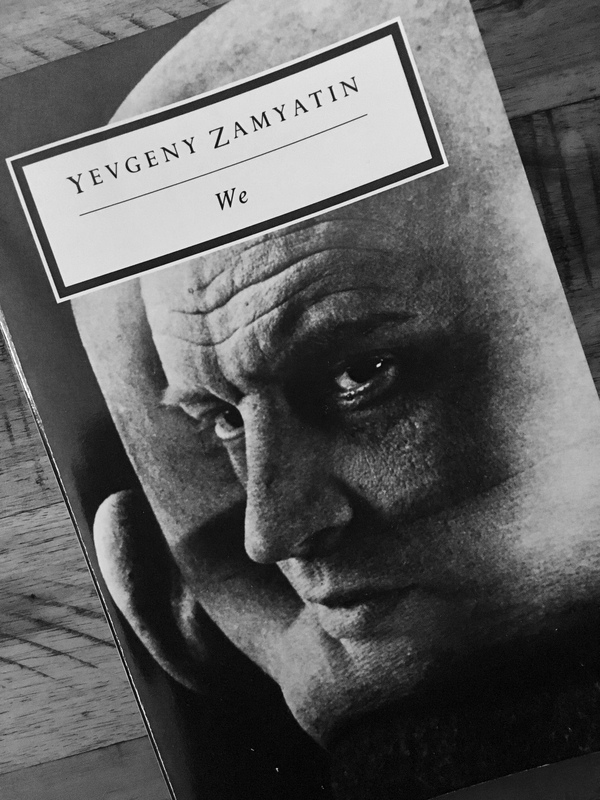 They are very different books though: Zamyatin’s is zanier, more poetic—it’s like a poem-cartoon-satire. Orwell seemed to want to write an essay, and We gave him the form he needed to frame it. I have a review drafted where I discuss this a bit. What I find most remarkable about the novel is that it seems to me a prototype without a clear predecessor.